One bedroom apartment boasts an intricate touch of luxury in an ample space with a fully furnished living room, a cozy bedroom, a well-appointed kitchenette and two built-in bathrooms. 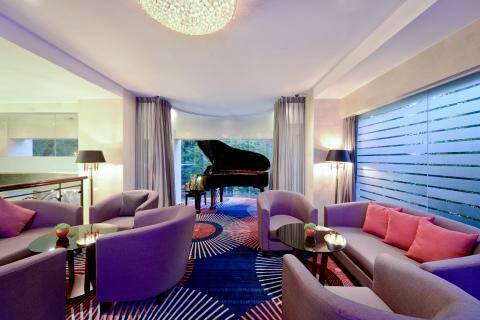 All amenities are ergonomically crafted to devise a laid back ambiance for you to wind down after a busy day. Spacious suite with separate living room area.